Rosner was born in New York City in 1945, and has lived and worked there for most of his life. Over the years he has accumulated a body of music now amounting to more than a hundred works in virtually all media, including two operas, six symphonies, and five string quartets. What is especially remarkable about Rosner is the independent position he has maintained with regard to both the professional and academic music worlds. Though he earned a PhD — the first to be granted in music by the State University of New York — and has supported himself as a professor employed by the City University of New York, he has staunchly resisted the influence or interference of fashions and trends in composition on his own creative work. Developing his own highly individual approach to composition while in his teens, he has remained true to this approach — though admitting the refinements that come with maturity — ever since. The great fascination of Rosner’s music derives from a fundamental stylistic incongruity: His work attempts to express the intensely personal emotionalism associated with the Neo-Romantics. But its basic language is built upon the pure, consonant harmony and modal polyphony found in music of the Renaissance. This unusual hybrid language is further expanded by exotic scales and practices associated with the indigenous music of the Middle-East, and by an abstract rhythmic vigor reminiscent of Baroque music. Although such a verbal description may suggest a stylistic “kitchen sink” situation, Rosner’s music actually sounds quite natural and spontaneous, with a personality of its own that is instantly identifiable. In fact, his music has great appeal to a broad range of listeners and, without the support of the usual institutions — foundations, associations, and the like — that usually promote the careers of American composers, he has developed a considerable grassroots following. 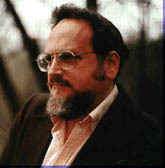 Today some two dozen of Rosner’s works are available on recording, including two recent compact discs devoted solely to his music. His recordings have been praised highly by the critics, while eliciting enthusiastic audience response whenever they are broadcast.